Travelers in south Florida can now fly nonstop to Vienna. Austrian Airlines is introducing flights to the Austrian capital from Miami International Airport. This is first time that the airport will offer direct flights to Austria. 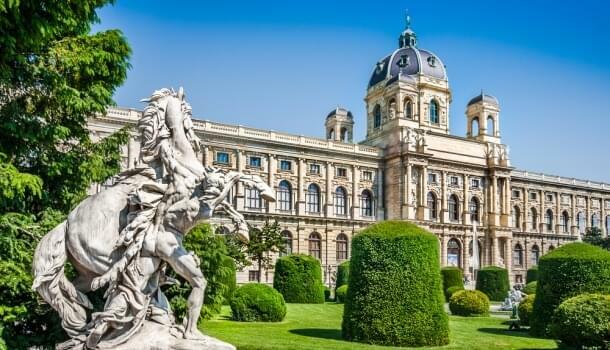 This route will be quicker than flying through a hub, so passengers will have more time on the ground to experience all that Vienna has to offer, whether that’s sipping coffee at a street cafe or exploring museums and ancient castles. You’re probably wondering if you can earn or use miles while flying with Austrian Airlines. The answer is yes. The carrier is part of the Miles & More frequent flyer program and a Star Alliance member. So if you have miles with a Star Alliance partner, you can book an award seat on Austrian. Or you can earn with Miles & More or another Star Alliance program. The flight between Miami and Austria, which is a little under ten hours long, departs on Wednesdays, Fridays, Saturdays and Sundays. Austrian Airlines is using its Boeing 777 aircraft on this route. It features bigger overhead bins, curved panels that make the inside feel more spacious and mood lightening to keep you relaxed and happy. Vienna is rich in history. It was the stomping grounds of the ancient Celts and Romans before becoming a center for music and home of some of the classical masters, such as Beethoven, Mozart and Haydn. As the capital of Austria, it also has a lot going on in terms of culture, politics and economics. There’s no shortage of things to see and do. You may even have to come back a few times to take everything in. Vienna is loaded with food markets, and the biggest one is the Naschmarkt. It’s a must if you’re looking to sample local fare and produce. 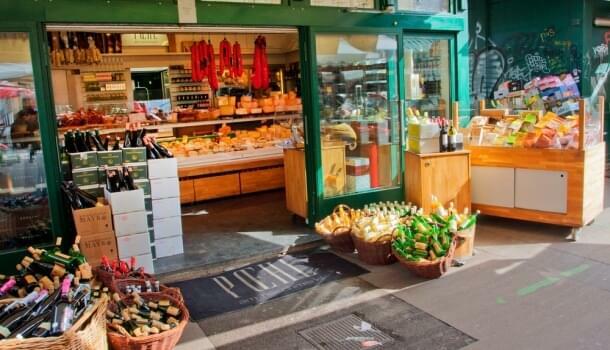 It’s open every day except Sunday, and you can pick up everything from wine, sauerkraut, olives and fresh herbs and spices to figs, pickles and kebabs. If you’re hungry, check out the food stalls and sample some traditional Viennese fare, or maybe Moroccan, Japanese or Italian food. If you are looking for art, head to the Museumsquartier. There you’ll find the Leopold Museum, with it’s striking and modern architecture; the Kunsthalle Wien, which was once a winter riding hall; and MUMOK, a modern art museum. The countryside around Vienna is full of vineyards, and the city is host to a vibrant wine scene. So plan a stop at one of the wine taverns in town. And if your a fan of 1949’s The Third Man, a classic film noir set in post-war Vienna, consider taking a whirl on the 19th-century Riesenrad, a Farris wheel that’s featured in the film. Vienna is heaven for history buffs. The rather majestic St. Stephen’s Cathedral, which was built in the 12th century, is a must-see. The Schonbrunn Palace, which was the Hapsburg summer residence, is dripping with visual decadence, complete with ornate rooms and huge, lush gardens comparable to those in Versailles.